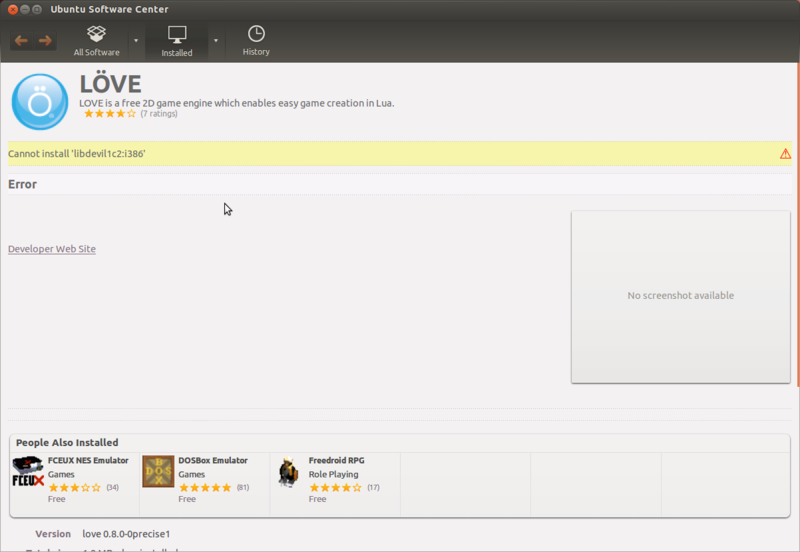 I get this error when going to the download page for LOVE 0.8.0 for Ubuntu 12.04 32bit. Last edited by Mari0Maker on 07 Aug 2013, 23:24, edited 1 time in total. Well, this is what I got. 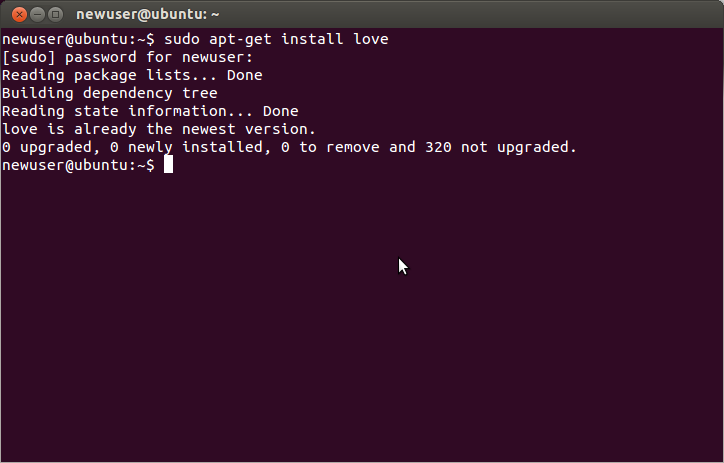 I also tried reinstalling LOVE, and got the same result. Oh, I know! 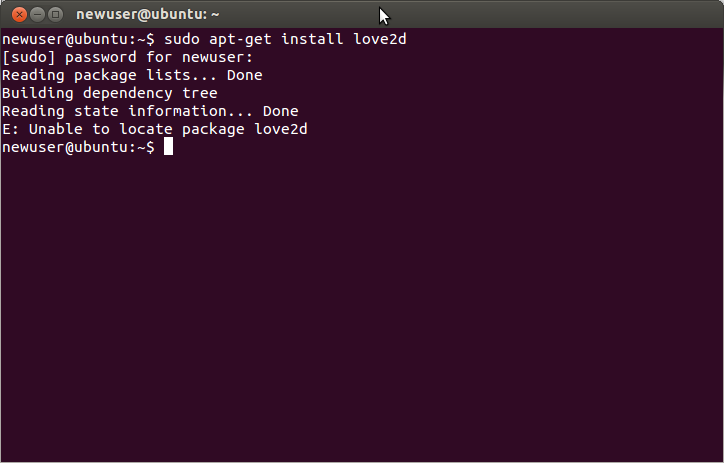 It's because the version of love in the 12.04 repo is 0.7.0 ! 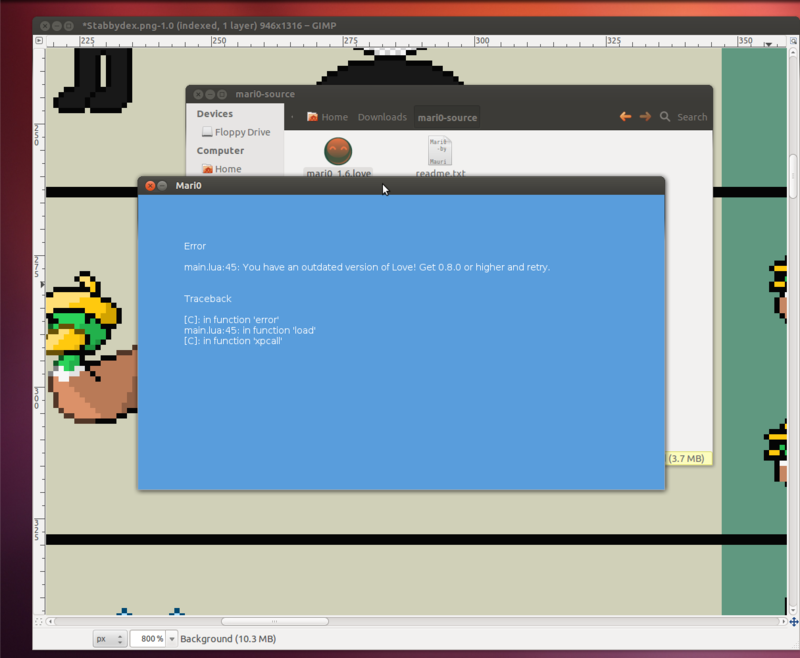 You have to upgrade to a newer version of Ubuntu. I would have recommended using the love-unstable ppa, but it now contain 0.9.0, which is also incompatible with mari0 1.6.